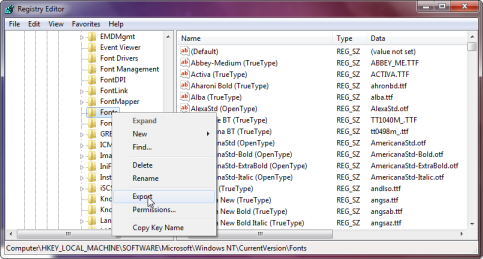 How To Export the Fonts Section from the Windows Registry to a text file. All versions of Windows store the list of installed fonts the Windows Registry. The fonts are stored in the Registry so Windows knows which fonts to reload when your computer is restarted. 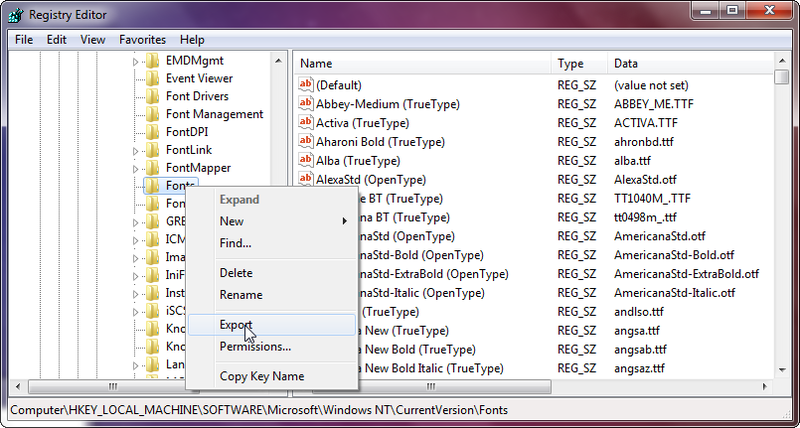 If you need a list of the installed fonts for technical support, you can use the Windows Registry Editor to export the list as a text file. You can then send this text file to an email recipient for help or support. Press Win-R on your keyboard to open the Run dialog box. In the Open textbox, type "regedit" and click the OK button. 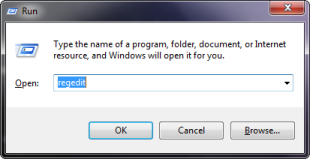 You may get a User Account Control dialog box asking if want to allow the Registry Editor to make changes to your computer. Click the Yes button. HKEY_LOCAL_MACHINE\SOFTWARE\Microsoft\Windows NT\CurrentVersion\Type 1 Installer\Type 1 Fonts. In the left pane, right click the "Fonts" key and select "Export" from the menu. The Registry Editor will prompt you for a file name. 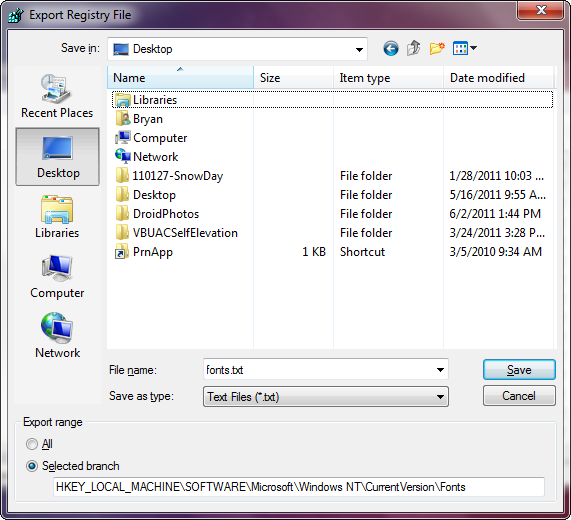 Use the Export Registry Dialog box to save the file as a text file on your desktop. In the screenshot below, we have saved the file as a text file (fonts.txt) rather than a Registration File (fonts.reg). It is a good idea to save the file as a .TXT file because many email programs will block a .REG file. You are now finished exporting a font list from the Registry Editor. 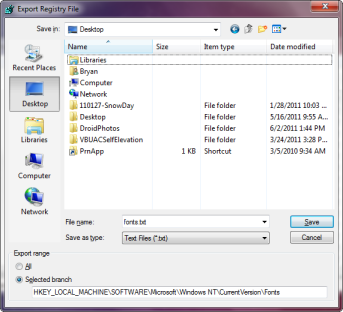 Select Exit from the File menu to close the Registry Editor.